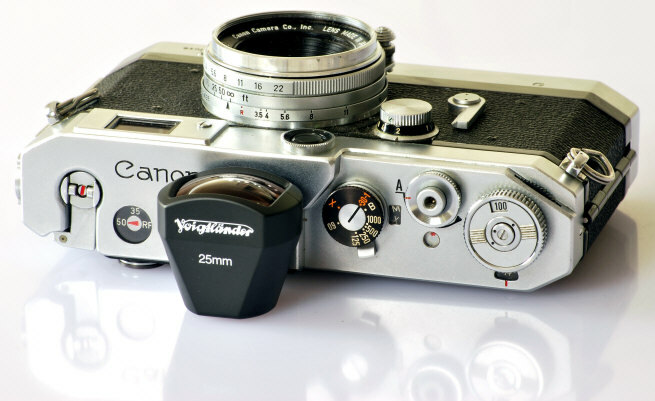 The Canon 25 is very tiny, weighing only 5.3oz, rangefinder coupled, and has an infinity lock, filter size 40mm. 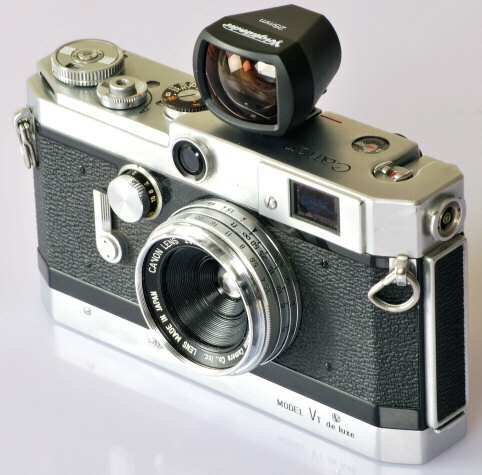 Like all classic era rangefinder lenses, it is of course single, not multi-coated. 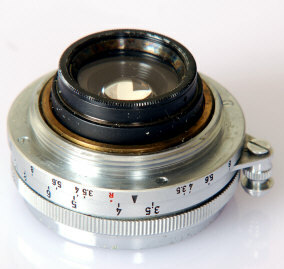 With its deeply recessed front element, no lens hood was needed -- or produced. 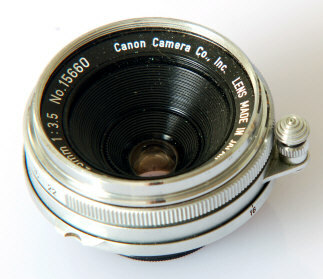 Canon 25/3.5 mounted on a Canon VT deluxe with modern 25mm Voigtlander viewfinder. Revised: March 21, 2010 . Copyright © 2010 Stephen Gandy. All rights reserved. This means you may NOT copy and re-use the text or the pictures in ANY other internet or printed publication of ANY kind. Information in this document is subject to change without notice. Other products and companies referred to herein are trademarks or registered trademarks of their respective companies or mark holders.